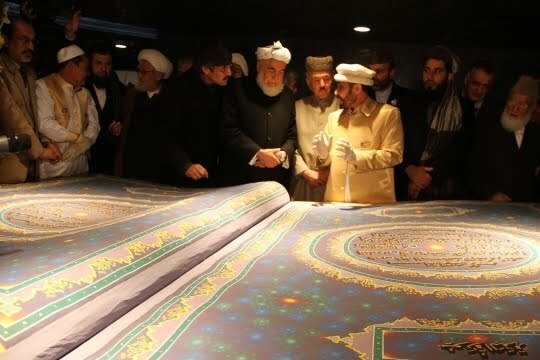 The world's largest Quran has been unveiled in Kabul, the Afghan capital. 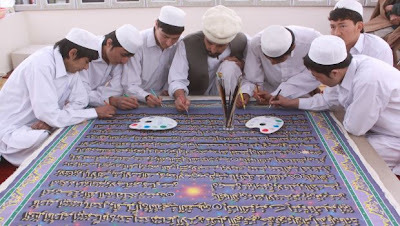 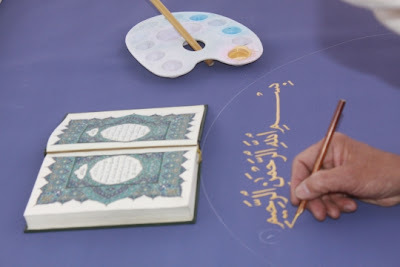 Afghan calligrapher Mohammed Sabeer Khedri Hussani, age 52, and nine student apprentices created this enormous masterpiece. 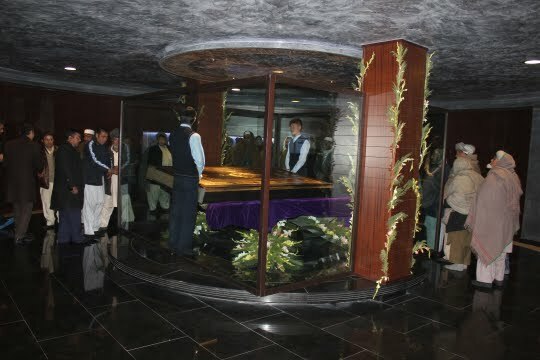 The spent five years working on theis, 18 hours a day, seven days a week. The book weighs in at 1,102 pounds and contains 218 pages of cloth and paper, bound in a leather cover made from the skins of 21 goats. 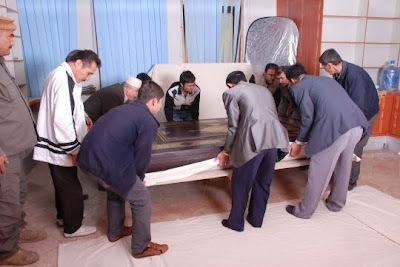 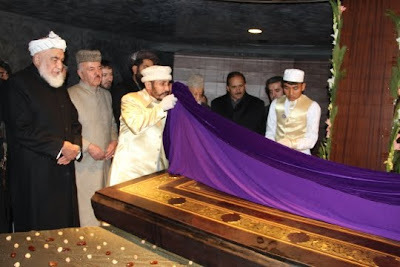 The massive work of religious literature and art was completed by Hussani and his apprentices in 2009, but it took another two years for a special room to be completed at the Kabul cultural center. 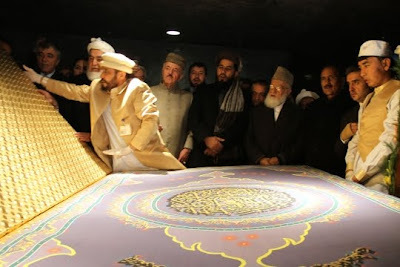 It is 7-foot tall, 5-foot wide Quran. 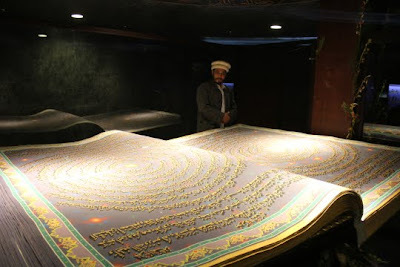 The world's largest Quran, according to the Hakim Nasir-e-Khusraw Balkhi Cultural Center, which commissioned the work for about $1 million.